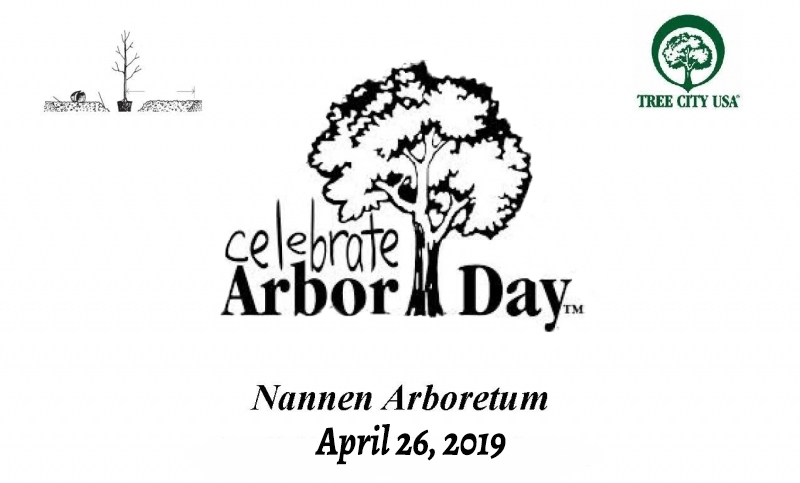 Please join the Nannen Arboretum for our Arbor Day celebration on Friday, April 26, 2019, 11:00 am, at the Nannen Arboretum in the Town Center building. The Town of Ellicottville Supervisor, Matt McAndrew, and the Village of Ellicottville Mayor, John Burrell, will make a proclamation declaring April 26, 2019 as Arbor Day in Ellicottville, NY. An Arbor Day tree will be planted by the Nannen Arboretum Society and the Tree City USA flag will be raised. We will also hear from New York State Department of Environmental Conservation (DEC) representative Dave Paradowski regarding diseases and pests of trees. Refreshments will be available. Shortly after this 1872 observance, other states passed legislation to observe Arbor Day each year with appropriate ceremonies. New York State celebrates Arbor Day on the last Friday in April, the 26th this year. Planting trees is an act of kindness and optimism. The trees we plant clean the air, beautify our neighborhoods, provide homes for wildlife, conserve energy and topsoil, and help keep the atmosphere in balance. Life is just better when we live among the trees. The Nannen Arboretum Society is a not-for-profit, volunteer-based organization dedicated to providing home garden and natural resource education and an opportunity for nature appreciation and leisure. The society membership is open to anyone who desires to support the arboretum’s mission. Contact us at info [at] nannenarboretum [dot] com to join, we welcome new members. You can also check us out on our website, www.nannenarboretum.com our Facebook page, Nannen Arboretum Society, or on Instagram, nannenarboretum.